1. What are the advantages of ChIP-Seq compared to ChIP-chip? ChIP-Seq enables genome-wide analysis, while ChIP-chip only analyzes parts of known sequences. ChIP-Seq provides accurate analysis of binding sequences, while ChIP-chip could not precise positioning. 2. What is the difference between sonication- and enzymatic-based chromatin fragmentation? Either sonication or enzymatic digestion can be used to generate the appropriate lengths of chromatin. Sonication is a traditional method used for fragmenting chromatin, it uses acoustic energy to forcefully shear the chromatin. Sonicated chromatin works very well for performing ChIP to assess histones and histone modifications, however, over-sonication can damage the chromatin and displace bound transcription factors and cofactors. Therefore, sonication typically needs optimization. Enzymatic digestion uses micrococcal nuclease to cut the linker region between nucleosomes. It gently fragments the chromatin and preserves the integrity of chromatin and bound proteins. So it’s more suitable for performing ChIP to assess transcription factors and cofactors that are less abundant and interact with DNA less stable. In addition, enzymatic digestion provides better reproducibility between experiments. But over-digestion may lead to a loss of nucleosome-free regions. 3. Will high-resolution be guaranteed as long as high-throughput sequencing is used? High throughput sequencing has greatly improved the resolution of ChIP detection, but it is not the only determinant of high resolution. After immunoenrichment, the length of fragments interrupted by chromatin also affects resolution. 4. What are the factors that lead to a higher false positive for ChIP-seq? DNA fragmentation methods, heterogeneity of chromatin openness, PCR amplification bias, genome duplication, and errors in sequencing and sequence alignments lead to false positive. 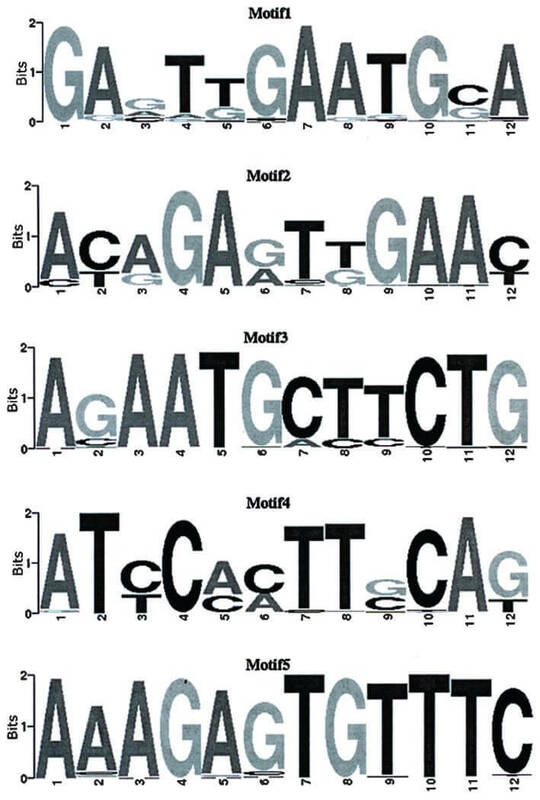 After sequencing, the sequences are compared to the known genome and identified the true binding sites (peaks). For transcription factors, look for the downstream regulatory gene (target gene) corresponding to the “peak” or construct a conserved binding sequence for the transcription factor binding site. 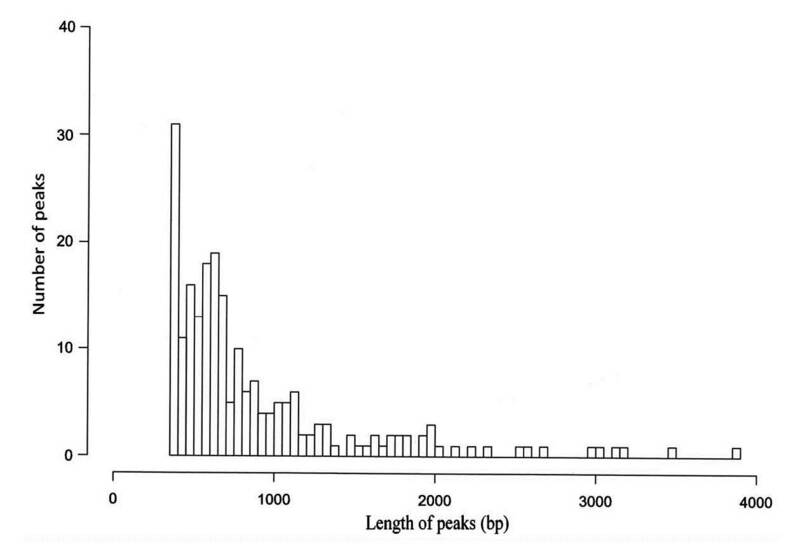 If the motif of the transcription factor is known, calculate the percentage of the motif sequence in the “peak” sequence, and the reliability of the experimental results can be estimated.